Ahoy me hearties! Get ready for swashbuckling, nonstop joyride filled with adventure to find the lost treasure!! 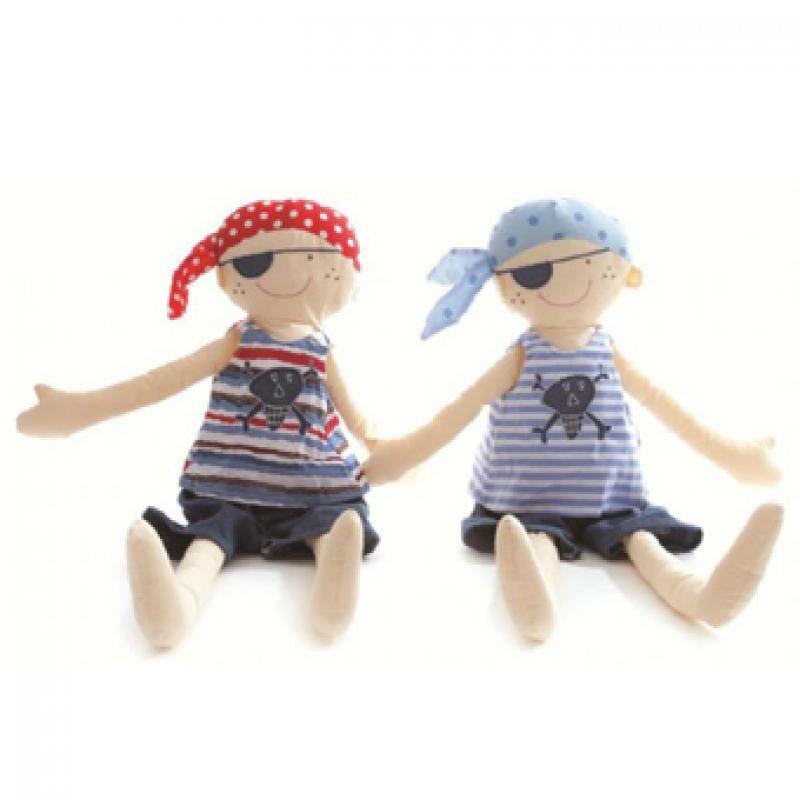 Lily and George is a brand of beautiful soft toys and accessories for babies and children. Each pirate doll sold separately. Available in Red (Will) and Blue (Jack) both feature an eye patch & a bandana.